Moderate-to-severe sleep-disordered breathing (SDB) is common in the general population, particularly between ages 50 and 70. Obstructive sleep apnea (OSA) is a major public health concern presenting a high associated risk for hypertension, cardiovascular disease, type II diabetes, and motor vehicle accidents. The dentist should always evaluate for the presence of risk factors in patients with any signs of SDB. PSG is the gold standard for the diagnosis of OSA and sleep disorders. The CPAP device is still considered the most effective therapeutic approach for the management of SDB in both adults and children; however, their side effects and low adherence make clinicians look for alternative treatment options. 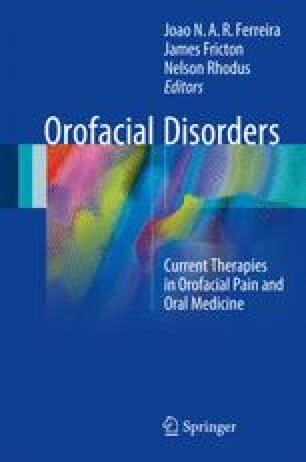 Oral appliances (OA), especially mandibular advancement devices (MAD), have become viable option for patients with mild-to-moderate OSA or with primary snoring. The sleep physician should be the one providing an accurate diagnosis and prescribe OA when indicated. The dentist is considered a key part of the multidisciplinary management team for OSA. When using OA, then dentist should use custom-made ones allowing for the titration of the device and should monitor closely the resolution of OSA symptoms and possible side effects.